Back in 2006, we made a commitment to “new media” when we launched Changing the Court, a blog that documented the planning and implementation of Bronx Community Solutions, a program that sought to change sentencing practice for misdemeanor offenders in the Bronx. In the years since then, the Center for Court Innovation has become increasingly devoted to blogging. 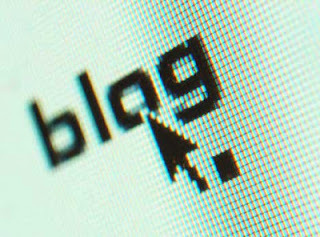 Today, we support no fewer than fourteen blogs (click here for complete list). before-and-after photographs of graffiti removal projects in Red Hook, a description of an arts-to-end violence program in Crown Heights, a rich interview about the intersection of juvenile justice and mental health, and a story about Law Day activites in Newark. While each of the Center’s blogs has its own editorial voice, what they all have in common is a commitment to involving readers in how we do our work -- revealing not just the final product but the process of how we got there. As a manager, I sometimes worry about the proliferation of Center-related blogs (to say nothing of our Twitter accounts or Facebook pages). When I first started in this business, a typical non-profit would have a monthly newsletter that would be its primary (if not exclusive) vehicle for spreading its institutional message. Each story could be tightly controlled, each word carefully weighed and vetted. In the post-Internet age, this kind of communication strategy doesn’t make much sense. At the Center, we have embraced a less centralized approach that encourages our programs to communicate directly with their communities. I see drawbacks to this approach. There is the potential for duplication of effort. It is harder to do meaningful quality control. And, at a basic level, I have less control over the messages that we send out. But, for an organization like the Center for Court Innovation, which is committed to open communication and reaching out the public in new ways, I think the positives far outweigh the negatives.